The festivity of the Maya comes from pagan rites and dates from the medieval age, appearing in ancient documents. It takes place every year in the beginning of May and celebrates the beginning of the spring. 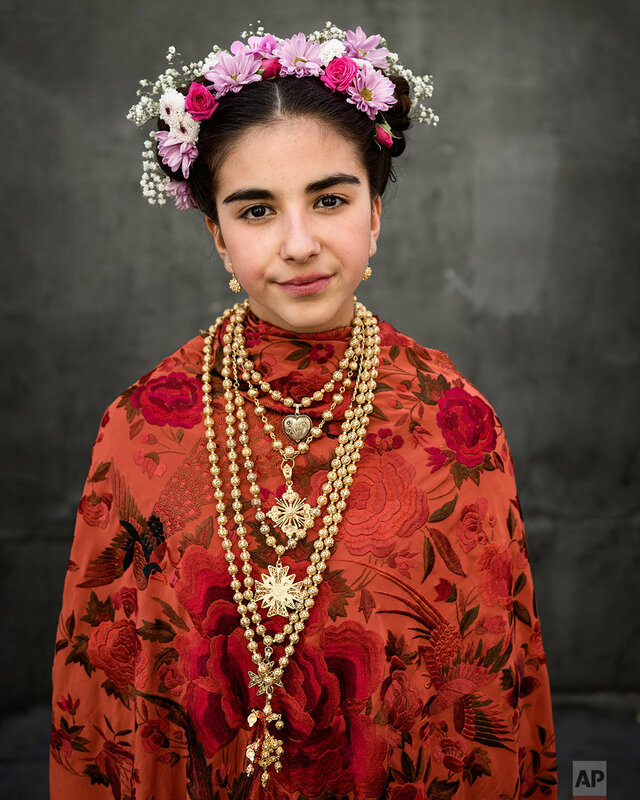 Girls between 7 and 11 years old are chosen as 'Maya' and should sit still, serious and quiet for a couple of hours in altars on the street decorated with flowers and plants, and afterwards they walk to the church with their family where they attend a ceremony. AP photojournalist Daniel Ochoa de Olza is on assignment in Spain and below is a gallery of his work.